One of our favorite Boston bands has returned with a most-worthy new offering of music today. 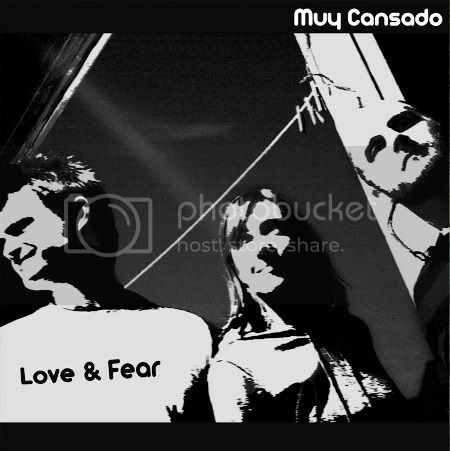 This evening at the Middle East, Muy Cansado will unleash their new 4-track EP Love & Fear. The ambitious tracks see the band's songwriting advance a great deal. So while there's still a blue-collar ethos to the band, but they are clearly not simply the Pixies-esque rock band we came to know and love. (I really love those songs too - never stop playing them.) 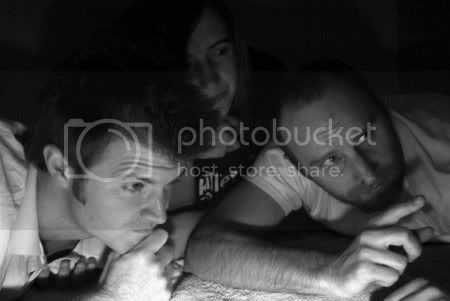 The band has surrounded itself in change this time around and in doing so what has been birthed has been a challenge with some pretty startling rewards. This band proves they are dedicated to moving forward in music. Chris Mulvey on guitar & vocals, Lisa Libera on bass guitar & vocals, and the newly added John Ulman on drums - have proved up to the challenge. While I love Mulvey's singing and his two part harmonies with Libera on Not About A Girl - a song about frustration and realization (but not about a girl)... I think that the star on the track might be Libera's work on bass. Ulman is tight with his new bandmates on drums, as well. It's a nice little showcase of the EP. Giant could be my favorite song on the EP for Mulvey's vocals. To my knowledge he has never opened up like this on any recording. I think they maybe could have explored this just a little further. I guess this is me saying the recording feels a bit subdued but the levels do help the opposing harmonies and layered guitar on this track. Overall, it's a hypnotic number and perhaps amongst the band's best recorded material to date. You tell me what the song is about. No, I take that back! Can I change my mind? Sharpshooter is the best song on the album. It's an ace effort from all members and a statement on how well the three integrated musically during the album effort. Probably the tightest effort on the record. Ok, fine - this one's my favorite. So you see, that's the way it is with this album. One unit, four flavors. All pretty damn good and well worth your time.